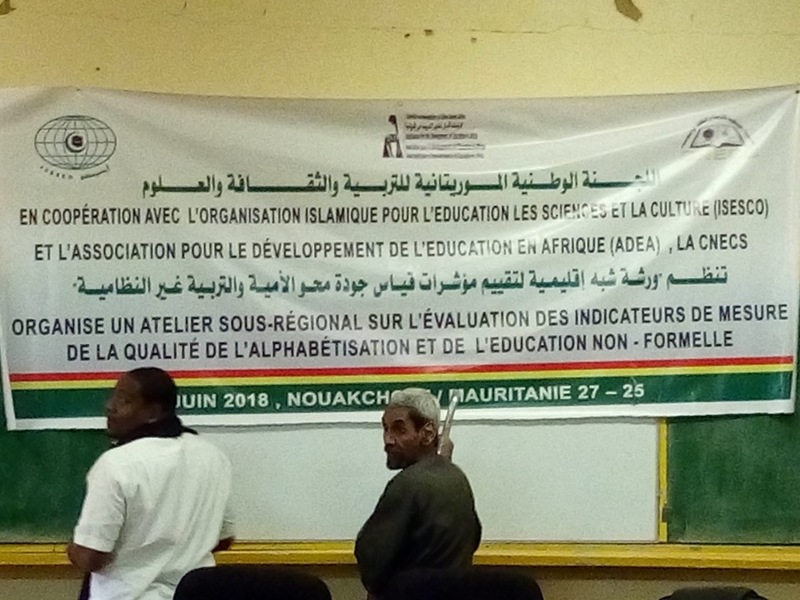 The Association for the Development of Education in Africa (ADEA) and the Islamic Educational, Scientific and Cultural Organization (ISESCO) have joined forces to propose 34 indicators for measuring the quality of Literacy and Non-Formal Education (LNFE) at a workshop for West African countries – jointly organized by the two institutions – in Nouakchott, Mauritania, from 25th to 27th June 2018. This technical meeting reviewed and provided countries with various indicators for measuring literacy and non-formal education quality, taking into account the Agenda 2063 for Africa the 2030 Agenda for Sustainable Development, especially Sustainable Development Goal (SDG) 4, and the Continental Education Strategy for Africa 2016-2025 (CESA 16-25). 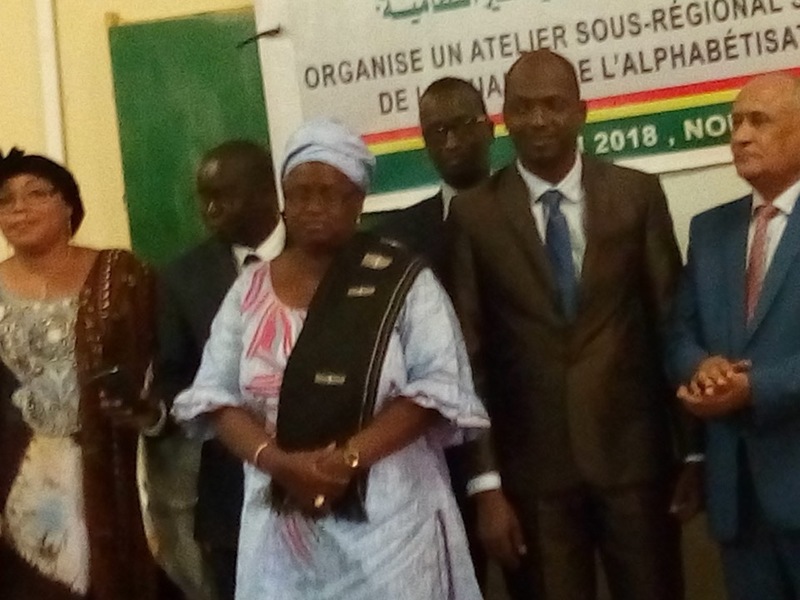 At the opening ceremony, Elimane Kane, Deputy Secretary General of the UNESCO / ISESCO National Commission of Mauritania, representing the Director General of ISESCO, had the honour to open the discussions and emphasizing the importance of these indicators in the education sector. The other two main speakers, Youssouf Ario Maiga, ADEA representative and Ismail Ould Chouaib, Secretary General of the UNESCO / ISESCO National Commission of Mauritania, representing the Minister of Culture, Handicrafts and Relations with the Parliament of Mauritania, reiterated that updating indicators for measuring the quality of literacy and non-formal education will play a key role in the education systems of the sub-region. During the 3 days, 12 LNFE experts from 5 countries of the sub-region (i.e. Burkina Faso, Mali, Mauritania, Senegal and Togo) as well as experts from ADEA and the ISESCO National Commission of Mauritania – following working group sessions and plenary discussions – selected and proposed 34 indicators classified into process, input, output and performance indicators to measure the quality of LNFE programmes in West Africa. These 34 indicators will allow engaging with competent authorities for better planning/organization, better financing and especially better teaching/learning quality. 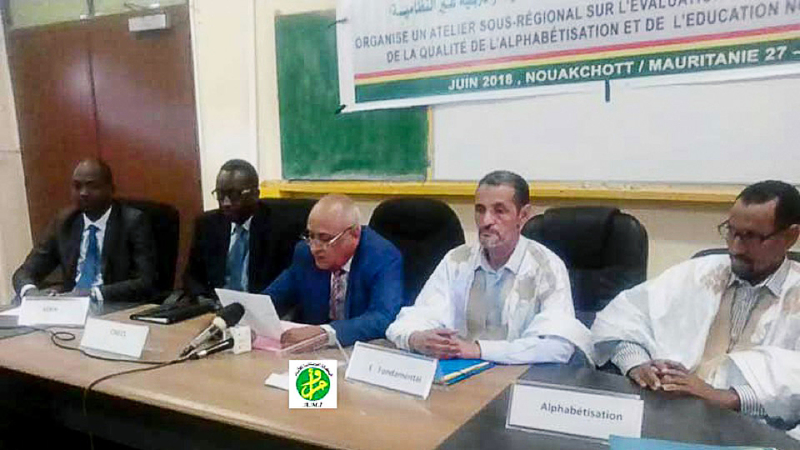 Thanks to the fruitful collaboration between ISESCO and ADEA, this first step will lead to the production and a widespread dissemination of a consensual document for use by all countries in the sub-region.